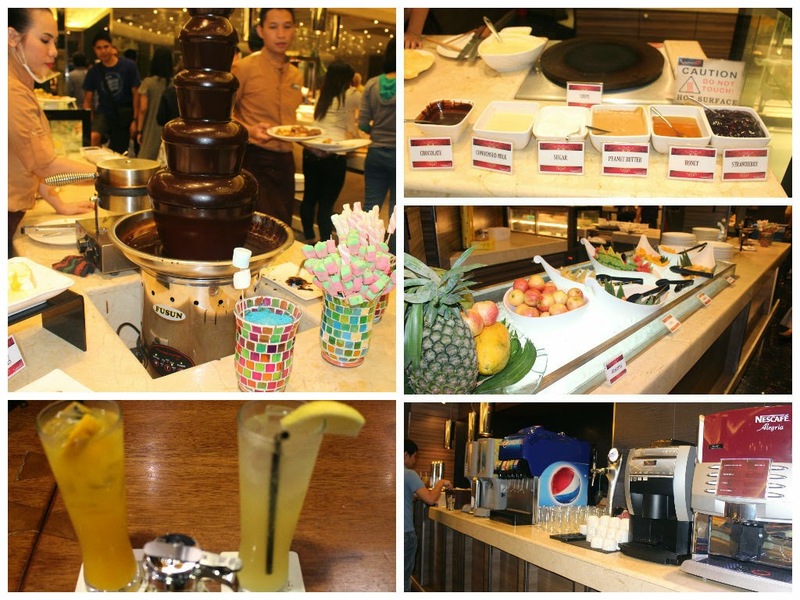 I was thrilled to have been invited to sample the food at Buffet 101 Eastwood branch. 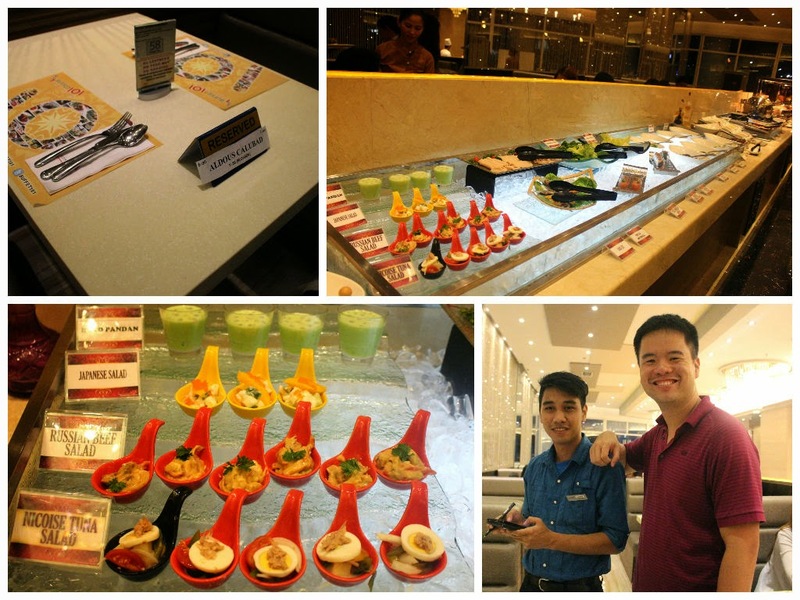 This is Buffet 101's 3rd branch and the 4th one is going to open soon at Glorietta. 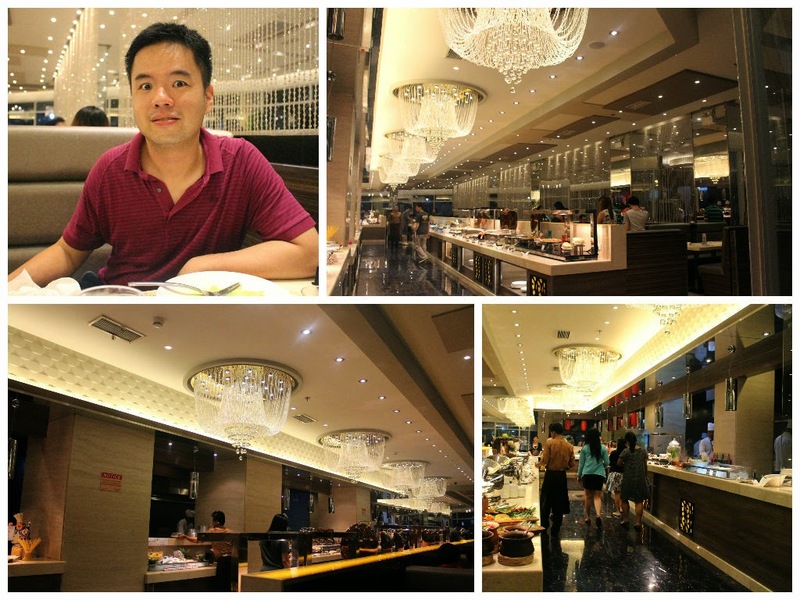 Before attacking the buffet, I sat down with their supervisor on tips on how to attack a buffet. He told me that it would be better to ease down on the carbs which means don't have that much rice and pasta. Unfortunately, the carbs in the buffet are just too good to resist. Their specialties are the very popular "swahe" (steamed shrimp), sashimi, salt and pepper crab and all the seafood that can be grilled. You know the swahe is pretty special since the shrimps are in an aquarium before they get served to your plate. 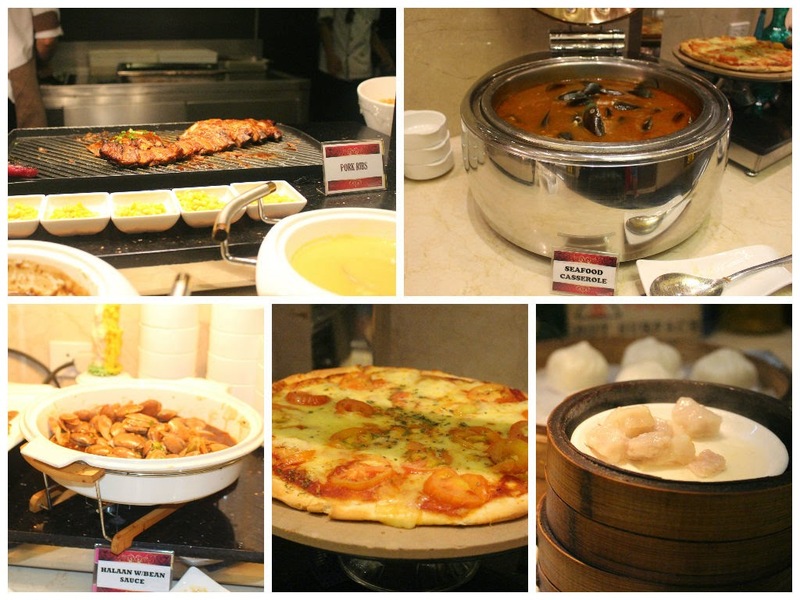 With a lot of 5 star hotel themed buffet restaurants popping up all over the city, I think Buffet 101 stands out due to their delicious food and awesome service. 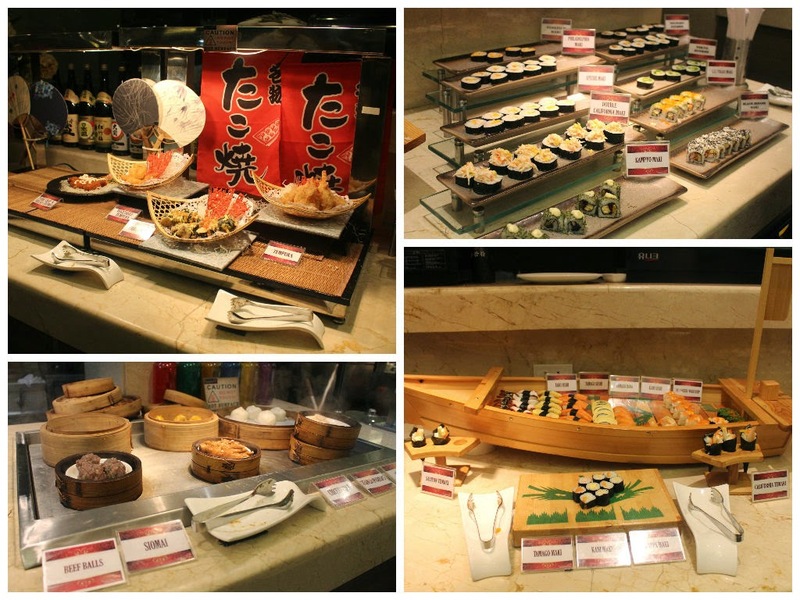 The buffet is divided into the Western section and Asian section. Chef Sam handles the Western section while Chef Paul handles the Asian section. 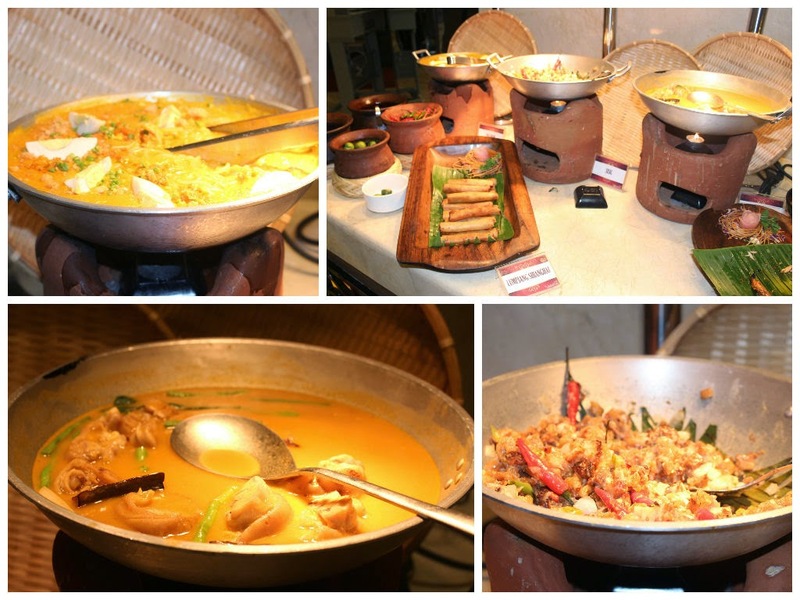 It is doubtful to be able to eat all the selections in this buffet so the best thing to do would be to take a look at the selections first and decide which ones you would like to eat. It is possible you will miss out on some food that you would want to eat after being so full. 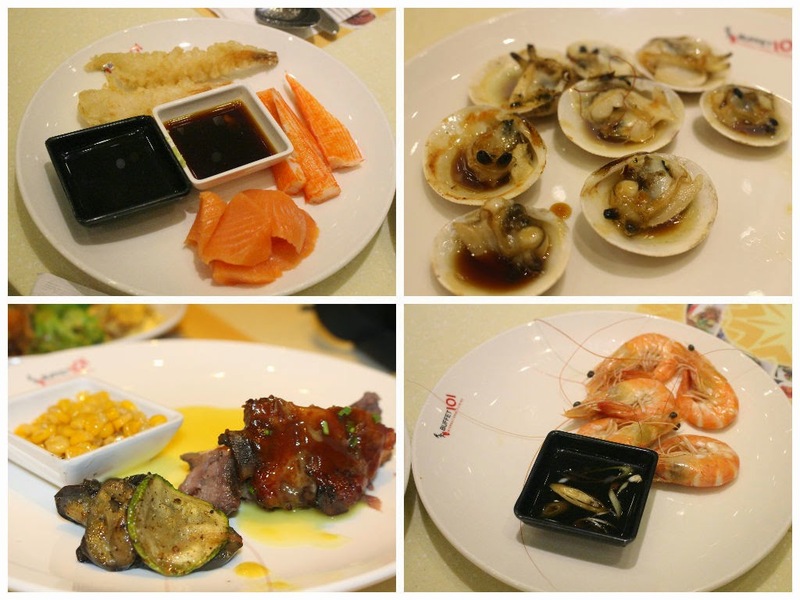 We sure were careful with out selections as we attacked the seafood first. Everything tasted real good as I have to give compliments to the chef. I love shrimp and I could honestly eat "swahe" all day and won't get sick of it. This is one specialty they have that other similarly themed restaurants don't. I was all giddy when I saw Kare-Kare as one of the dishes here. I actually lost count on the number of dishes they have. If you currently have a diet then you are going to have to say goodbye to that. There is coffee and beer in the refreshment stand too. I would always see to it that I would try all the refreshments in a buffet but I failed to try the beer in this one. I got to have a lot of soda and lemonade though. Of course, I did not do that when I was supposed to be nearing the end of my 3rd plate. 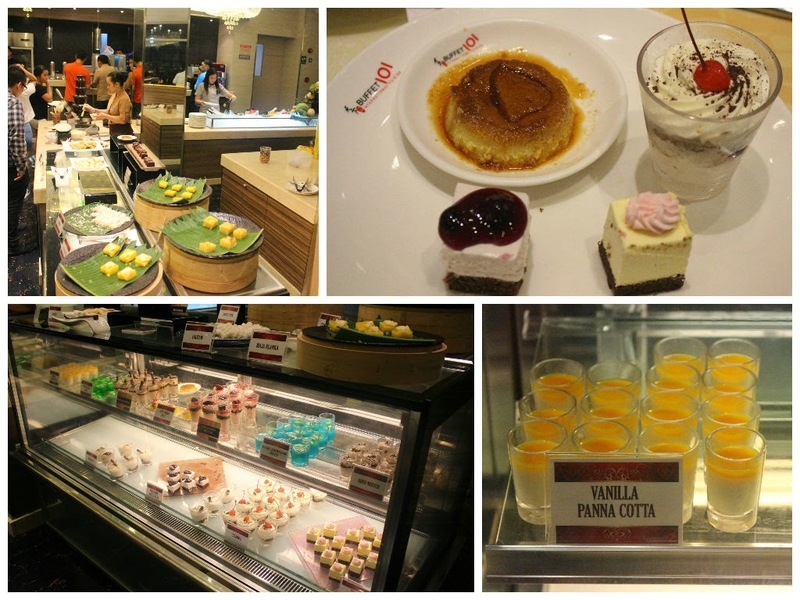 The dessert section will make sure that you will end your buffet on a sweet ending. There is even a waffle section here which is another exclusive to them. It will sometimes take them a while to create the waffle as they will just deliver it to your table. Tip: Remember your table number. Who does not like sushi? This buffet was overflowing with them. 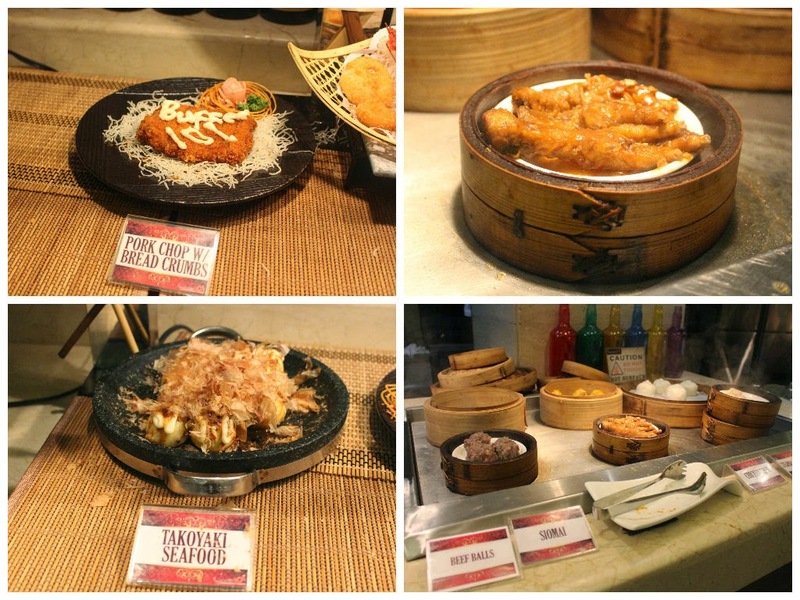 There were the normal Jap favorites like Shrimp Tempura, Gyoza and Chicken Teriyaki. 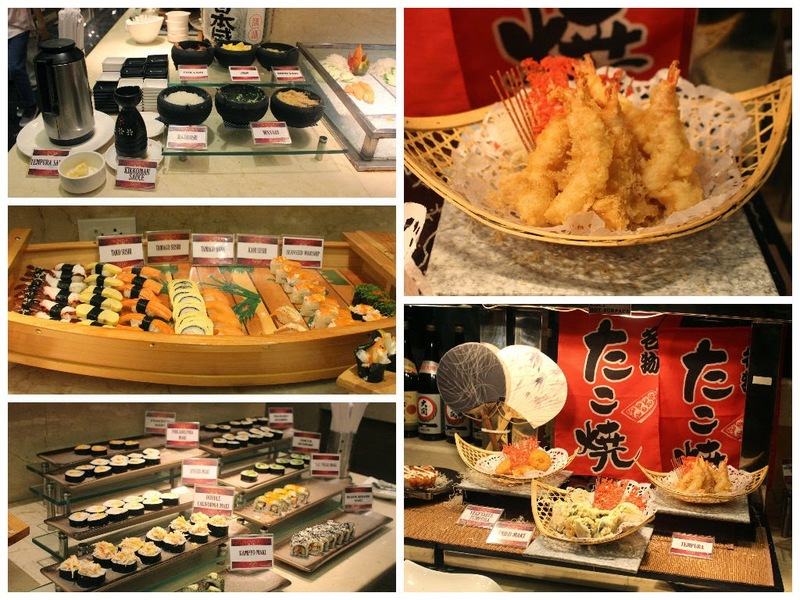 I am really tempted to have a couple of plates dedicated to solely Japanese dishes. 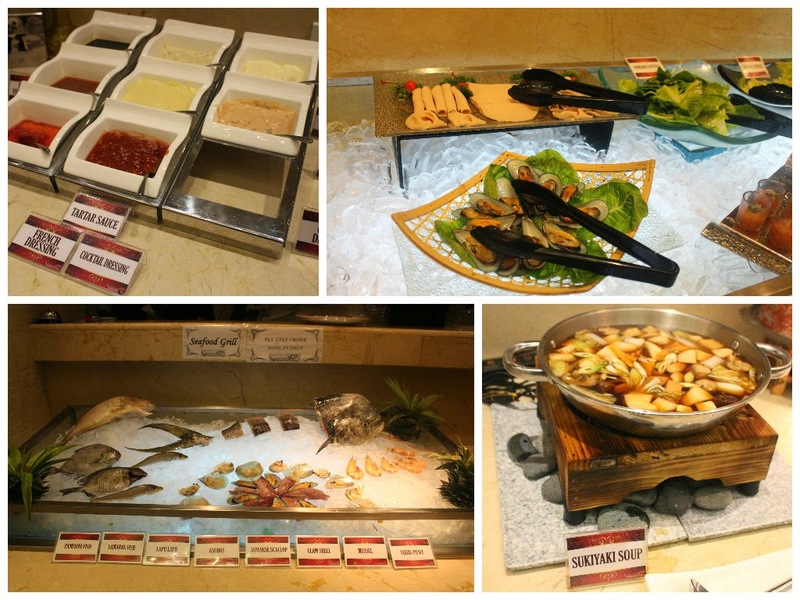 Everywhere you look at Buffet 101, you are going to love what you see. It is like a foodie's heaven. In fact, I wished I had two tummies instead of one when I was here. Oh well. It would be advisable to reserve very early for your preferred date of pigging out to delicious food. You may also want to prepare by not eating the entire day or maybe just a few bites leading into this gluttonous haven. I certainly had a blast. Check out this cool new promo of Buffet 101! 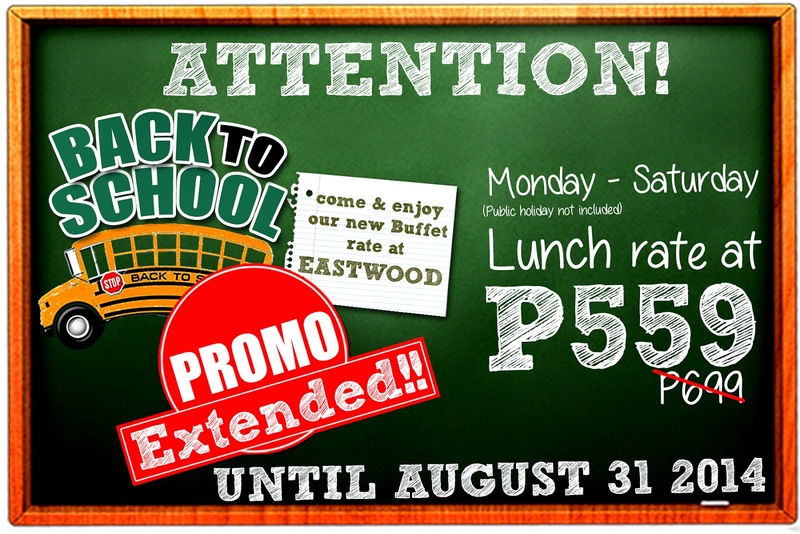 Only P559 per head every lunch time from Monday to Saturday. This will surely get their lines even more busy as people will surely call for reservations.